I received some happy mail from one of my Instagram lovlies, Jayne, aka @bellajstyle. 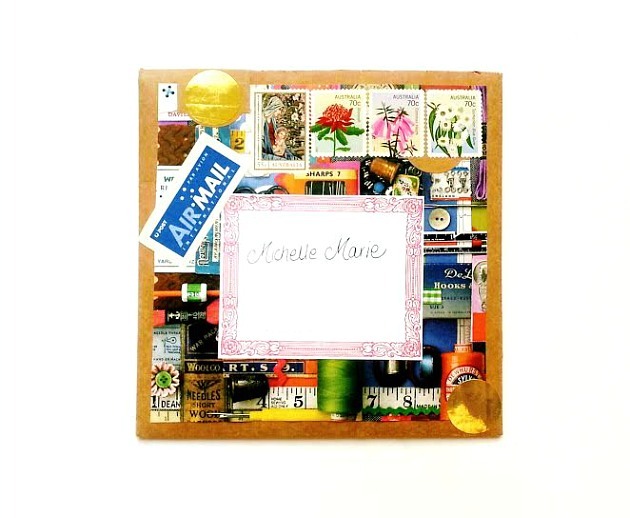 She seriously has a talent and eye for mail art that I admire so much. Just take a look at her beautiful gallery. 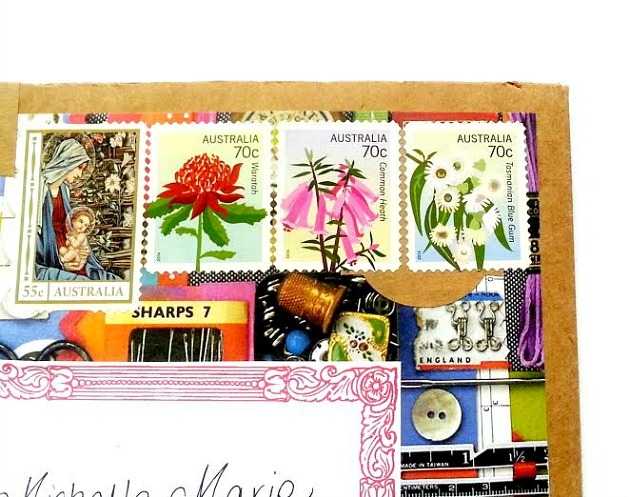 As if the envelope wasn't gorgeously decorated already, she added these colorful stamps... How pretty! I think the stamps are my favorite part of the outside package. It's nice to see what designs other countries have. 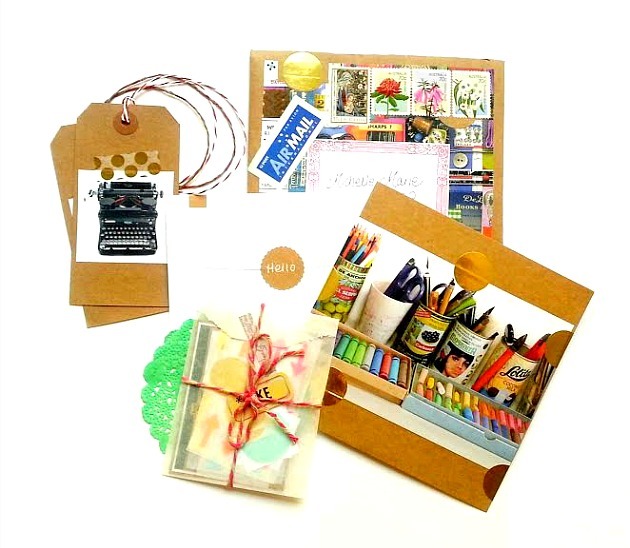 And the paper goods inside. 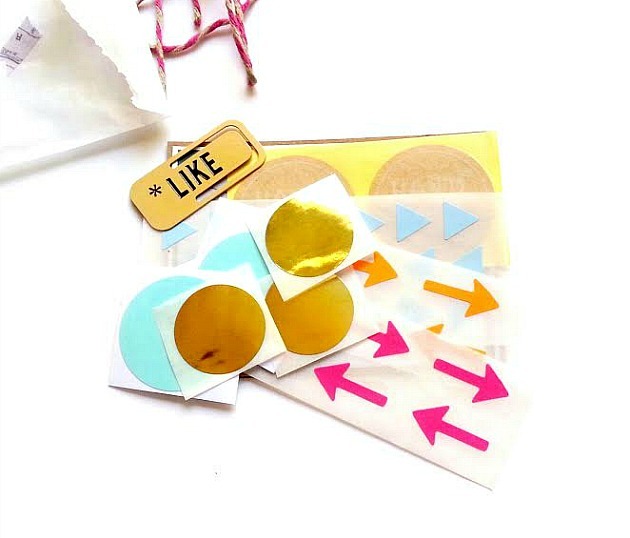 I can't wait to use these neon stickers within my journals. Thank you, Jayne, as this was such a pleasant and enjoyable surprise. I especially enjoyed your card and reading your "about me facts." I find those so interesting! I love the pops of colour and just as I said on Instagram the vintage typewriter tags! So beautiful! Love the snail mail!! :D :D So pretty!